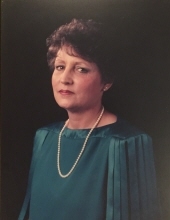 Linda Freeman Moon, age 79, of Douglasville, Georgia passed away on Friday, March 29, 2019. She was born on October 13, 1939 in Mableton, Georgia, daughter of the late Emory Bascom Freeman and the late Sara Ingram Freeman. She was a 1957 graduate of Douglas County High School. Linda was a retired Tag and Title Clerk. Linda was a member of Shepherd of The Hills United Methodist Church. Linda was an avid reader and especially loved the murder-mystery and crime genres. She also loved antiquing, gardening, flowers, fishing and the beach—especially Cumberland Island, Georgia. Linda was very patriotic and had a great appreciation and love for the United States military and “old glory”. Linda is survived by her daughter and son-in-law: Patricia Ellen Smith and Tony L. Reece; nieces: Dawn Freeman Brown, Leah Goen, Desiree and Dustin Goss, Georgia Rose Goss, Everly Brown; nephews: Peyton Goen, Hunter Brown; numerous cousins and her family in Christ at Shepherd of The Hills United Methodist Church. In addition to her parents, she was also preceded in death by her husband, Henry L. Moon; brothers, Emory Bascom Freeman, Jr. and Charles Olin Freeman and niece, Gale Freeman Moody. Per her family's wishes, she was cremated and a memorial service will be held on Saturday, April 13, 2019 at 4:00 PM in the chapel of the funeral home with Pastor Adam Roberts officiating. The family will receive friends from 3:00 PM until 4:00 PM. To send flowers or a remembrance gift to the family of Linda Freeman Moon, please visit our Tribute Store. "Email Address" would like to share the life celebration of Linda Freeman Moon. Click on the "link" to go to share a favorite memory or leave a condolence message for the family.